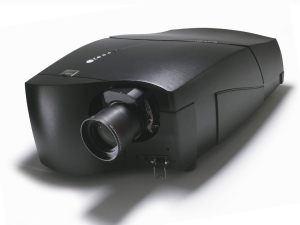 Questek Advanced Technologies is the exclusive local supplier of Barco projectors and all other Barco products. Barco was founded in 1934 and has become famous for their world-class visualisation and display products, like LED and flat panel displays. Barco projectors are available in LCD, DLP, LCoS and CRT derivatives and they are all available through Questek. The Barco CLM R10+ has been specially developed for the staging and rental market. It is a high-performance, compact, 10,000 lumen DLP projector with a sealed engine. CLM R10+ will retain its sharp, brilliant and consistent image quality for years and require the minimum of maintenance. This projector offers all the benefits of DLP technology, but it is priced alongside high-brightness LCD projectors, defining a new class of projector. The chassis is all-metal, it comes with its own rigging kit and is quick and easy to set up. Its quiet operation makes it ideal in small venues too. RLM R6+ is a high-brightness, mid-venue projector with 6,500 centre lumen light output. While the RLM R6+ offers the advantages of the dependable RLM range, it also offers a SXGA+ resolution. Its engine is also sealed and the lamps are long-life, so cost of ownership is commensurately low. If you had invested in a SLM series projector, you would be pleased to learn that you can re-use its TLD HB lenses on the R6+. RLM R6+ features standard vertical and horizontal electronic edge blending and up to four sources (one video, two data and one SDI) are accommodated simultaneously. Advancement in technology has allowed revolutionized viewing experiences for audiences around the world. No longer do you need to visit a cinema to enjoy the power of a big screen movie experience – there are many screens for projection available on the market that offer crystal clear quality viewing in the comfort of your own home. Projection screens were designed to enhance the live viewing experience of the audience so that the best possible quality can be gleamed from the pictures being viewed. These screens for projection are so well developed that it brings a new dimension to viewing audiences and breathes life into the images that are displayed. Of course home theatres and entertainment systems do make up a large part of the projection screen market, but it is certainly not the only use for these screens. Boardrooms and companies are investing in these screens for projection as marketing and training tools, and as a part of their business strategy. More and more businesses are investing in this technology and are discovering the benefits projection screens hold for their businesses. Rear projection screens project the image from the rear of the screen, allowing the viewer to see the projected image through the screen, instead of seeing the image projected onto the front of the screen. While switched off the rear projection screen will be similar to the look of a sheet of glass. This part of the projection screen can be manipulated for specific projection needs which make it highly adaptable for various applications. One of the biggest benefits of a rear projection screen is that the image is not distorted and remains crisp and highly visible, even with having strong levels of ambient light shone directly on it. Questek Advanced Technologies is the foremost supplier of screens for projection in South Africa. With many trusted and reliable brands, Questek has earned itself a well deserved industry reputation for its superior products and expert knowledge of the projection screens industry. Other products include video conferencing equipment, digital cinemas, video walls and delegate systems. These are only two examples of the superb range of Barco projectors supplied by Questek Advanced Technologies. For more information on the rest of the range, contact us today.